How do we build trust with an audience that does not trust us? In my recent webinar I asked for questions from the audience and Claudia asked about a great topic: trust. As she mentioned, if your audience doesn't trust you, you will be lucky if they will open your email or meet with you, let alone respond in a helpful way to what you have to say. So, how to build trust? Who don't they trust: you, your team or your organisation? What happened that led them to stop trusting? Did they have a bad experience, did the last project you work on fail, are they concerned about honesty? Is it a relationship issue or a performance issue? Once you know what has caused the lack of trust, if at all possible, deal with that as a separate issue so you don't contaminate the main ‘thing' you want to progress. Ask someone who knows the other party well to learn more about what matters to them and where there are common interests. Ask someone who has good standing to help you work through the problem either for you or with you. Don't be afraid to ‘hug the elephant' and raise the problem with honesty, integrity and without blame while also taking responsibility for any part you have had in causing the problem. Explain how you will act differently in future and deliver on it. Once you are comfortable that you have made sufficient progress in resolving the trust issue, consider moving forward with the thing you need to communicate about. When doing so, be mindful of addressing any concerns they may have, listen and watch VERY carefully while also over communicating and over delivering. Their trust will be much harder, if not impossible, to earn back if you lose it again. 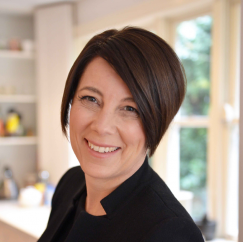 Davina Stanley is Managing Director of Clarity Thought Partners, a team of structured thinking experts who help professionals make the complex clear and the clear compelling in their business communication. She and her business partner Gerard Castles have just launched their first book, The So What Strategy which offers a simple strategy for communicating clearly as well as the seven most commonly used storyline patterns in business.